What I’m going to share here is something that would interest internet marketers, online entrepreneurs, and basically anyone who wants to get rich. Let’s say you just so happen to have a product, and you’d like to share it with the world. It’s something revolutionary, mind-shifting, and shamelessly awesome — you’re literally sitting on a goldmine. Affiliates don’t seem to be getting on board to promote your product. Let me set an example. Mindvalley makes about $2 million every year solely from affiliates promoting Online Events. This number does not include autopilot affiliate offers or promotions to Mindvalley’s native list — it’s a pure Joint Venture launch figure. Let’s take a look at one specific example. An affiliate launch that always crosses the minimum $300,000 revenue benchmark — Unlimited Abundance affiliate launch. 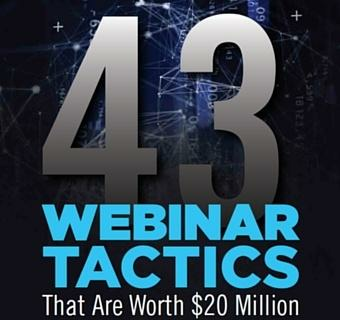 With 12 super affiliates on board, we brought in 29,000 leads, and the webinar converted like crazy. I can tell you, one of the best feelings in the world is clicking the “refresh” button and watching the revenue grow by $1,000 every few seconds. I’ve shared some of these tips with our Joint Venture partners on the Mindvalley Affiliate Program, but now it’s time to open these tips up to the world. I present to you 9 tips on how to rile up affiliates for your launch like never before. The industry has changed rapidly. Today, you have to know when and what you are launching at least 4–6 months in advance. Plan your calendar and start recruiting as soon as your launch dates are solidified. This is a very common mistake affiliate marketers make. This means saying no to old school internet marketing business. Say no to squeeze pages and cheap blinking “BUY NOW” banners. It’s time to embrace elegance — otherwise, you’ll fall behind. The last thing your partners want is to introduce their list to a scammy-looking page. Sometimes, the easiest thing to do is to put yourself in the shoes of a subscriber on your list. Would you be happy having this page show up in your inbox? You must understand that top quality affiliates are very protective of their lists. They must be ensured that not only will the landing pages that they promote look elegant, but that the product itself is of great quality. Nothing helps to show more transparency than giving them free access to the product before asking them to commit to supporting you. Your main objective is to make big partners mail for you. It is expected of you to reduce the amount of work for your partners — do as much as you can yourself. If you know what the unique mailing list types are for your partners, then tweak the generic swipe copy to create an email that will convert each of these lists. Remember: the more you give, the more you get. When you craft a launch invite email to your partners, always remember to include solid numbers that prove that your product is a rockstar. First things first, you need to run an internal test launch to your own list before letting it out to the world. This is where you get the numbers to show to your partners. What your affiliates need to see is an EPC and refund rate. Without these two, you are basically asking them to do you a favour as opposed to giving an attractive business opportunity. Affiliate sales contests are a great idea for many different reasons. First of all, it encourages affiliates to jump on board to promote the launch, because now they have a chance to get these extra perks, on top of their regular affiliate commissions! Allocate a certain budget to prizes. Let every affiliate know how your launch is doing. Share latest numbers, express gratitude, celebrate new records broken, and most importantly… show the leaderboard in every email blast. People LOVE to see their names up there. Make sure to also add comments for every person on the leaderboard encouraging them to send that one extra email to overtake the affiliate above them. Each additional mailing that you’re inspiring could add thousands to your bottom line. I’ve made this mistake once. I didn’t specify that pages were closing on Friday noon PST, which left me with a few upset affiliates and a broken date (oops!). I had to call up our masterclass specialists at 12 AM on a Friday night asking them to open up the pages for 12 extra hours. This situation was solved pretty quickly, but you don’t want this happening to you. Such a seemingly insignificant miscommunication turns into a big unpleasant problem and scars your brand reputation. Give clear guidelines on when and what time your pages close, be VERY precise. Bad: Webinar replay page will close on a Friday night. Good: Webinar replay page will close on Friday, January 1st, 11:59 PM PST. Post-servicing is one important step that most affiliate marketers miss. Post-servicing is done to make sure your affiliates will come back to you. The Partnerships team here at Mindvalley allocates a certain budget every quarter to surprise our best affiliates with flowers, chocolates, champagne and tequila bottles (our favourite). Apart from spreading random acts of kindness, be there to answer all their questions, send them personal reports and simply thank them for supporting you. Some of these tips look really rudimentary, but you’ll be surprised to find out that A LOT of affiliates make the same mistakes over and over again. Make affiliates your best friends, share killer content, give great value, and stay positive. Ainura is an Affiliate Launch Manager for Mindvalley. She is passionate about marketing, sales and revenue growth strategies.